The photos below were taken by Carl Schonbrod (Dorian Studies, Tillamook, OR) during the week prior to January 24, 1953, when a photo similar to the one on the right appeared in the Oregonian, with just a caption saying the cabin and its furnishings had since slid into the ocean. I wanted to know where the cabin started its journey and who owned it. Contact photos provided by John Chaix, friend of the Schonbrods. After chasing leads nowhere for months, I sent the photo to Perry Reeder. He recognized the house as one of two little cabins sitting next to each other uphill and to the northwest from the Strowgers on Bay Street, who Bayocean alumni will likely remember. Perry didn’t know the owners of the house. He and his buddies just called it the “fish pond house” because it had a manmade pond with some gold fish in it. Perry’s description best fit block 48 on the Bayocean plat map. I noticed that property taxes on the 1958 Tillamook Circuit Court foreclosure proceedings were much higher for lots 23 and 24 than others in the area. These lots were owned by H. W. and Laura E. Currin. 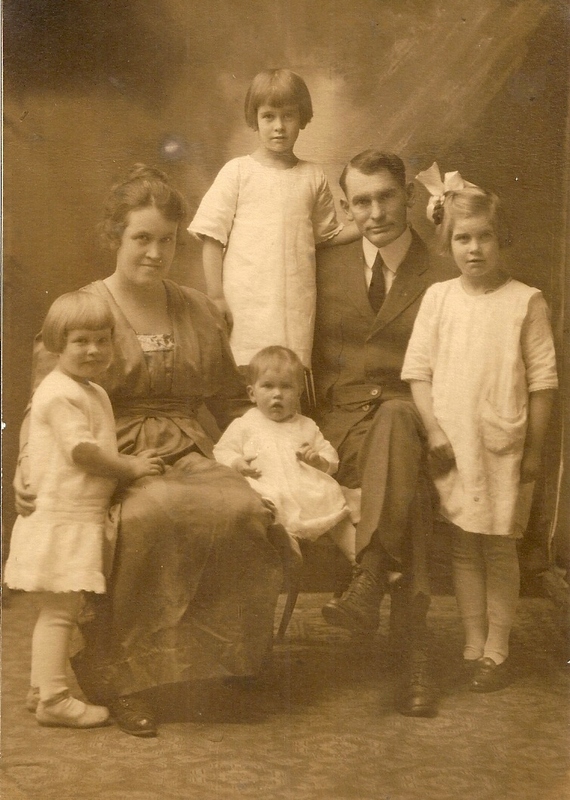 I found a 1919 photo of Harvy William and Laura Estella Currin’s family at Find-A-Grave provided by their niece, Anna Dunlap, and a biography written by one of their daughters, Ruth Currin Spaniol. After Dunlap confirmed that the Currins had lost a cabin on Bayocean, I read Spaniol's biography Over the die-or-do: a story of a marriage at the Oregon Historical Society. 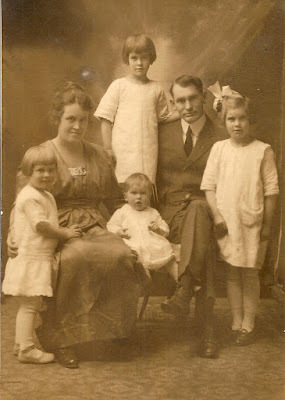 1919 Currin family photo, from niece/cousin Anna Dunlap. 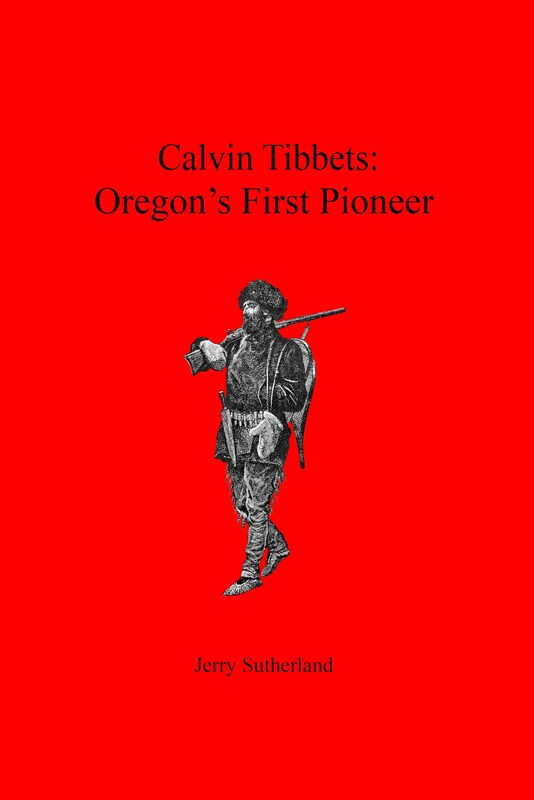 Harvy Currin’s ancestors arrived in Oregon as pioneers in 1845 and settled at Currinsville, just north of Estacada. By the 1940s Harvy and Laura had a thriving real estate business in Hillsboro. They knew houses had been washing away for decades on Bayocean, but in 1945 decided to take a chance on “two little houses sitting side by side…they and all their family could have at least $600 worth of fun there before those houses, too, were washed away.” Even grandchildren helped fix up the cabins, including painting Dutch designs on shutters, which they recognized eight years later in the Oregonian photo. In 1949, seeing the ocean approaching their hilltop cabins, the Currins bought another house further south. Next I searched Tillamook County deed book indexes and discovered that the Currins bought a lot more property on Bayocean than mentioned in their biography. 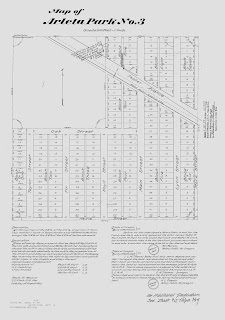 In addition to cabin lots 23 and 24 in block 48, they purchased most of block 47, which was between them and Bay Street, just north of the Strowgers. The Oregonian caption said the Hance brother had built the cabin, so Ella May Hutchinson, first owner of the lots in 1911, likely had them built soon after that, while the Hance brothers were active on Bayocean. W.B. 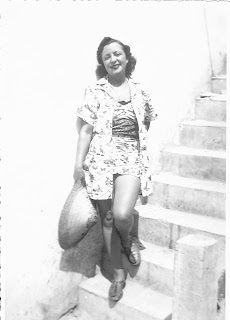 and Esther Combs were later co-owners. Together they sold the cabins to Will and Mary Stacey in 1932, who then sold them to Currins. The house Currins purchased in 1949 was on lot 33 of block 44. In his papers, Buck Sherwood said Judge Richardson owned the house, so I’m guessing that's the name that living Bayocean alumni will know it by as well. However, John and Carrie Fosdick sold it to the Currins, and James McDrea and A. M. Crawford also owned it after Richardson. The Currins actually lost this cabin first, when the ocean ripped out the southern section of Bayocean on November 13, 1952. “Fish pond house” and its partner were at the southern end of the island that remained. They fell within a couple months. What most surprised me is that on June 25, 1952, the Currins bought lots 29-31 of block 57. The house on lot 29 may be remembered as Mueller’s by Bayocean alumni, but Frank and Rose Dordan, John and Ethel Scott, and Edwin and Jean Jenkins owned it after them. This Currin house was half filled with sand when the US Army Corps of Engineers built the dike that sealed the gap in 1956, one of just three houses left standing. The last of these, belonging to the Notdurfts, fell in 1960. In 1957 the Currins bought a lot in Garibaldi but sold it just four years later, not long before Harvy's death. 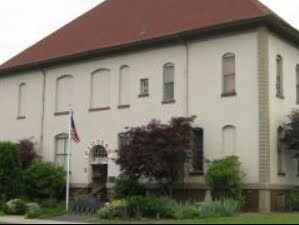 Tillamook County deed books show the property passing through many hands over the decades since then. The current tax lot number eluded me but Wendy Schink, Tillamook County Cartographer, quickly determined it was 21BD02200. This .86 acre lot climbs the hill behind Garibaldi and the home there has a great view of Bayocean. The Currins would have loved it. Dobbins-Duff family Tree at Ancestry.com. The 1900 U.S. Census shows T. B. (Thomas Benton) Potter working as an advertising agent, and his family living as boarders in a household of ten, at 232 S. Hill Street in Los Angles, California. A year later they were living at 418 Eugene in Portland, Oregon, and Potter had formed a real estate partnership with H.L. Chapin, with offices at 246 Stark (1901 and 1903 R. L. Polk Portland City Directories via Ancestry.com). Burt and Margie Webber say Potter amassed a fortune from 1902-1906 developing subdivisions in Kansas City, Missouri, Portland, Oregon, and Half Moon Bay, California (Bayocean: The Oregon Town that Fell Into the Sea, Appendix D). He lost most of his fortune chasing a dream at Bayocean, but neighborhoods and buildings give tribute to his earlier success to this day, several of them named after his daughter, Arleta Natalia Potter. I was surprised to discover that Sail (Multnomah County’s GIS system) lists not just one, but four Alberta Parks. The first was platted in NE Portland in 1902. Alberta Parks No. 2, 3, and 4 were platted in 1903 and 1904 in SE Portland. Neither Potter or Chapin are listed as original owners, but Potter & Chapin are shown as sales agents in newspaper ads. City directories show that they were in the same office as William Grindstaff, a realtor who owned and platted the first Arleta Park. 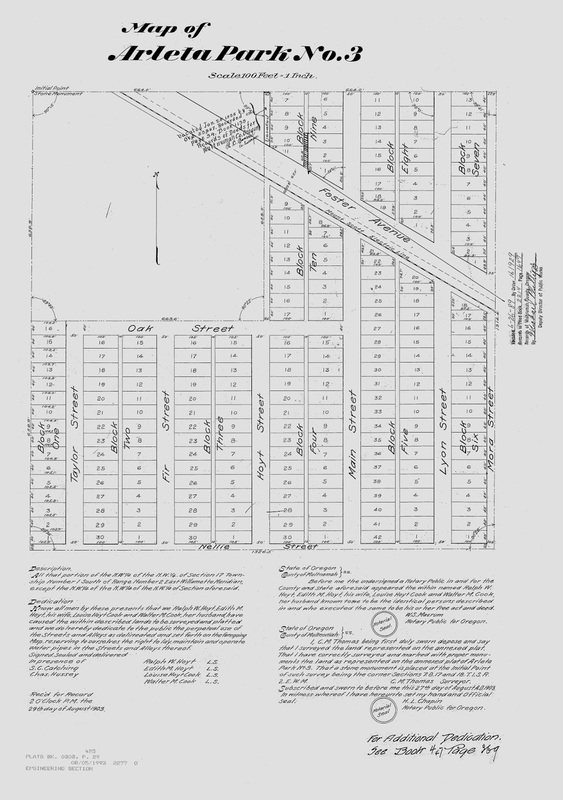 Multnomah County deed records show an Arleta Land Company purchasing and selling all four of the Arleta Parks, plus three additional subdivisions: Lester Park, Ina Park, and Elberta in NE Portland. Incorporation papers at the Oregon State Archives list the stockholders of the Arleta Land Company as Potter, Chapin, and their wives. Arleta Park No. 3 is the only subdivision located within the Mt. Scott –Arleta Neighborhood, and it makes up just a very small part of it. The reason its name was attached to the larger neighborhood is that Arleta quickly became a community of its own, with its own Arleta School, post office, and library, all named after it. Grocery stores and other retail stores made it a retail hub. Potter and Chapin likely chose the location because it was midway between downtown Portland and Lents on the Mt. Scott Trolley. The lots were cheap relative to downtown, so working families could afford to buy them, build a home, and catch the trolley to work each day. In 1906 T. B. Potter developed another Arleta Park at Half Moon Bay on his own (as well as another subdivision called Reis, per California newspaper ads). He likely saw the potential of this area becoming a suburb of San Francisco by way of the Ocean Shore Railroad, which reached there in October, 1908. Local history buffs indicate (via Wikipedia) that there was an Arleta Station at Railroad Avenue and Poplar Street that is now used as a residence. Webbers suggest that Arleta started going by Natalie as an adult because she didn’t appreciate her father naming subdivisions after her. One can just imagine schoolmates kidding her about having an entire community in Portland named after her. She must have got her point across, because nothing in Bayocean Park bore her name. 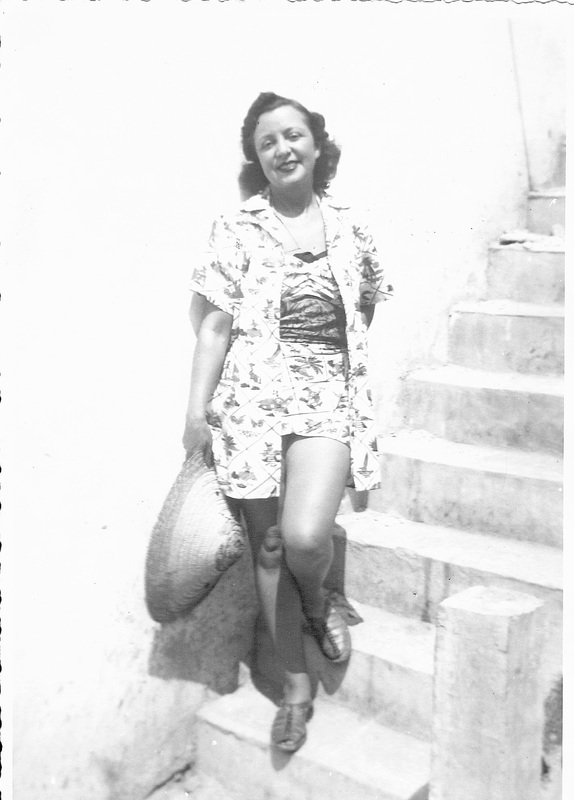 However, Arleta was the last Potter to own any property on Bayocean. She stopped paying taxes on lot 81 in block 39 only after an ocean storm destroyed it in 1952. Between the Arleta Parks in Oregon and California, T. B. Potter developed Marlborough Heights Addition in Kansas City. Francis and Ida Mitchell, who always claimed to have bought the first Bayocean lot, were from Kansas City (1900 US Census). 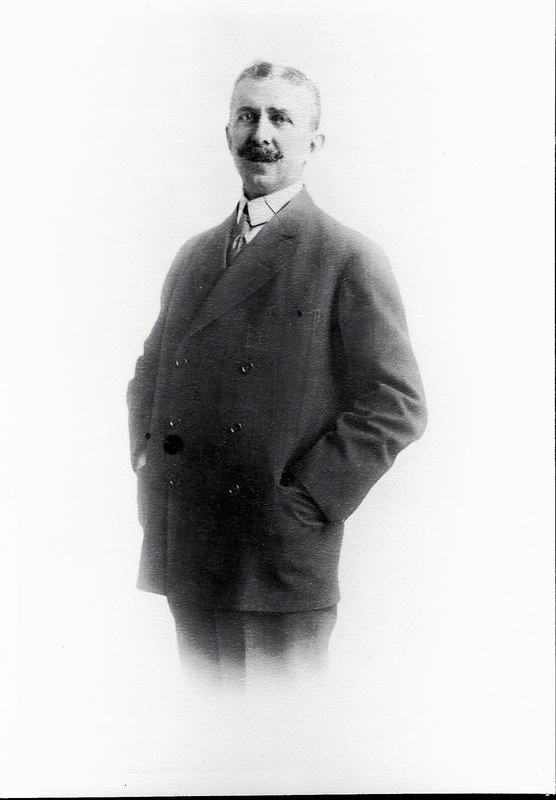 Dr. G. W. Rice, who bought the Mitchell's store in 1914, but lost it to Tillamook County Bank just a year later, was from Jackson County, where Kansas City is located (Torrens Registry Certificate # 386, Tillamook County Pioneer Museum). So were many others listed in Bayocean Park deed records at the Tillamook County Clerk's office. As late as 1911, the Kansas City directory (via Ancestry.com) shows an office for T. B. Potter Realty Co. at 416 R A Long Bldg. They may have had a Bayocean sales office there as they did elsewhere across the U.S.
Potter and Chapin had no problem selling Bayocean lots. They went fast. But building and running a resort requires a completely different skill set, and the railroad to Tillamook took three years longer than projected to finally get there. The hectic schedule and stress may have been what caused Potter's health to fail. In 1910 he retreated to his home in California, where he died in 1916. By then, his son Thomas Irving, and wife had lost control of Bayocean to a court receivership. Two succeeding ownership groups couldn't make a financial go of it either. The Bayocean dream failed financially long before the ocean washed it away.